Whether you work with concrete, fibre-reinforced plastics or any other type of composite materials, you will know that effective dust and fume extraction is essential. Both for the safety of your staff and also the quality of the finished materials and products you develop. Fibre-reinforced plastics are among the most common types of composite. They are used in the manufacturing of aircraft, boats and other marine vessels, sporting equipment and wind turbine blades. Vent-Tech has comprehensive experience in working on extraction systems for such materials. Owing to the manual-intensive nature of finishing composites, employees are exposed to considerable risk in composites companies. We aim to reduce the reliance they would otherwise have on personal protective equipment through the use of fit-for-purpose LEV systems. In the composites industry, materials are cut, milled, machined and polished. Along with sealing, surface-cleaning and preparation, trimming and finishing, these processes produce gases and fibres that are dangerous when inhaled and cause irritations like eczema when they come into contact with the skin. The best solution for composite companies is to provide extraction at the source. This could be on-tool extraction, downdraft benches or partial enclosures. When designing an LEV system, we believe it is important to study the processes that are going on within an individual company. This ensures we gain a true understanding of what is happening and how staff work – essential for a system to be truly effective. We firmly adhere to this tailored approach. But this is not universal among LEV designers, some of whom will simply recommend an off-the-shelf solution that won’t work perfectly for you. 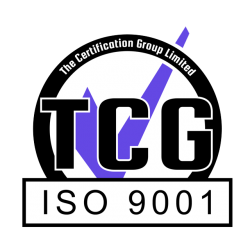 Our combination of a personalised approach, composite industry experience and analysis of relevant data guarantee an effective LEV system that keeps everyone safe and complies with the HSE regulations. To find out how we can help companies like you in the composites industry, give our team a call today on 0117 964 7945.